Okay guys you’re going to think I’m nutty, but this is so simple It only took me a minute to explain it in video! Do you often find yourself buying fresh ginger for an extra kick to a stir fry or maybe you tried that old fashion recipe for ginger snaps and then just had extra? Here is a great tip to save you money on ginger! Peel a large piece of ginger and put it in a zip lock bag. Then when you’re ready to make stir fry or cookies, use a fine grater to shave some off. 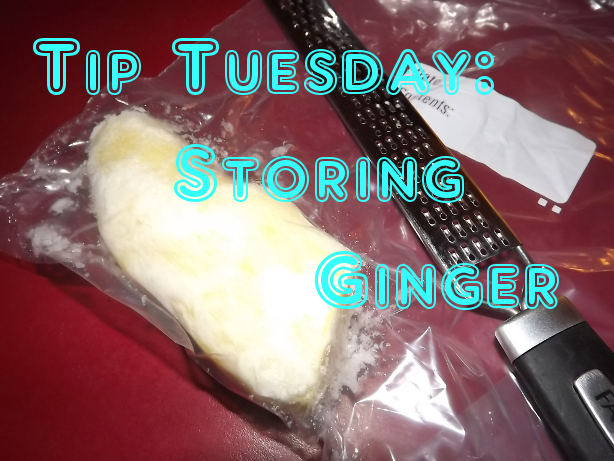 The texture is often nicer AND you won’t waste money on molded or dried out ginger again. It works great I promise! If you have any tips for a tip Tuesday please leave me a comment or send me an email. Thanks! 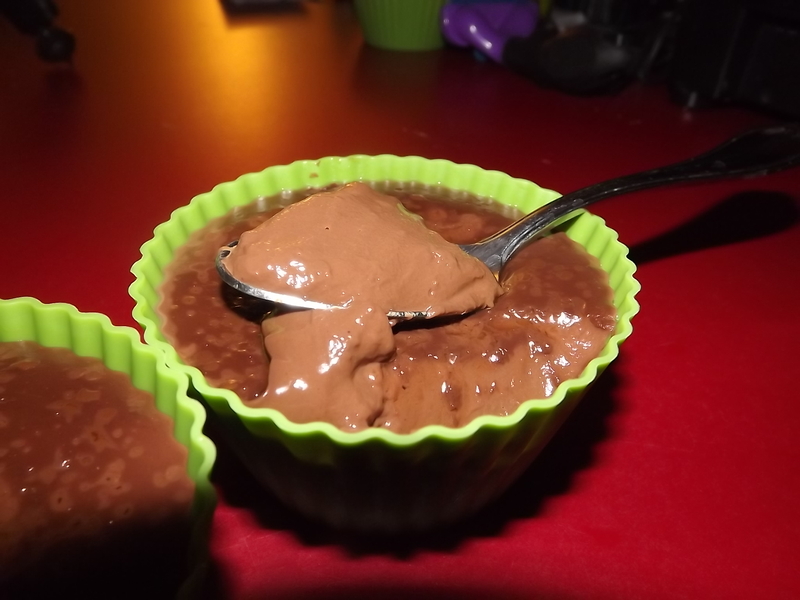 Quick & Easy Chocolate Pudding Recipe! Quick, simple, and EASY homemade chocolate pudding is so good you'll NEVER buy the pudding pots again. I promise! This can be made vegan simply by replacing dairy milk with nondairy. I suggest coconut milk for a good rich flavor or almond milk for something a little more light. 3 tablespoons sugar - you can use no sugar or you can use more, up to you! Over medium high heat add your sugar and chocolate pieces into a pan. Make sure you break up the chocolate bar for quicker melting. Stir constantly with a whisk so it does not burn. Continue until all the sugar is dissolved and you don't hear "crunching" anymore. Slowly add in your milk, if it looks ugly don't worry. As the chocolate remelts it'll come together. Once it's all melted try your mixture. If you need to add more sugar now is the time to do it! When you have it sweetened to your liking and all the chocolate is mixed with the milk add in your starch a little at a time. If you add it all at once you might cause lumps. Keep in mind that if you are eating this hot you might need to add extra starch. If you are going to chill in the fridge the mixture will firm up so don't over thicken it. Divide the mixture into however many servings you want, you can make 4 good portions with this recipe. If you want to add the sugar and salt do that now. A little goes a long way with this so be careful. Chill in the fridge until firm and cold. This will take around 4 hours. Enjoy! -If you are making this vegan or nondairy make sure the chocolate bar you used does not contain milk. -Try to use at least 75% dark chocolate, I used 90% cocoa by Lindt. -You can use cornstarch or tapioca instead of potato starch. 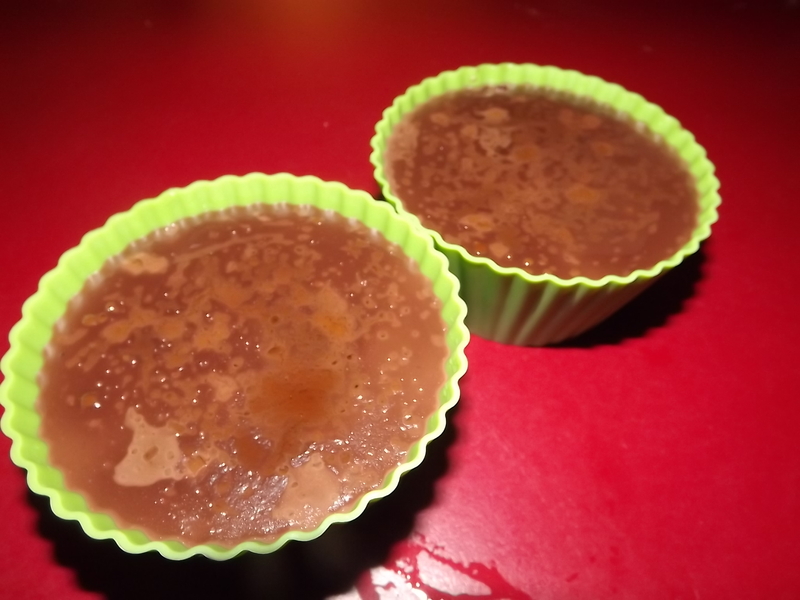 -Pro tip; use martini or wine glasses to make the pudding more elegant! Traditional fruit sauces take a long time boiling and reducing and frankly we don't have the time in the morning these days. This took less than 10 minutes and was better than a traditional sauce. The thin version really absorbs into the pancakes but the thick version is oh-so gourmet looking that it will really impress your family and friends. In a nonstick skillet, preheat it over medium high heat until a drop of water sizzles away almost immediately. Add in 1 cup of frozen blueberries (fresh can be used but wash them very well and pick out any hard bits) and stir until the berries release their juices and are thawed. This only takes about 1 - 1½ minutes. The object isn't to cook them through and squish them but just to thaw them. Add in your ½ cup of REAL maple syrup, no pancake syrup please. Let this bubble for about 90 seconds, you just want to heat through the syrup. Then add your water, I added about ⅓ of a cup but you can add less or more. This thins it out so it's not super strong plus helps stretch your budget a little, you could skip this if you want. At this point you could stop and serve and it would taste amazing but it's thin and won't really thicken until cooled. I suggest taking a mixture of 1 teaspoon tapioca (cornstarch would work but you'll have to boil it harder) and 2 teaspoons water, mix well and turn off the heat. Add in this tapioca mixture and stir until you notice it really get thick. You'll want to stir about 2 minutes in total just to make sure you get no lumps. You should notice all the white disappear and it will resemble a nice jam in texture. At this point you're done! Serve warm on-top of pancakes, I suggest my No Oil Vegan Whole Wheat Pancakes OR serve cold on-top of toast like a blueberry Jam (if you want to just make this a Jam, triple the amount of tapioca mixture). One thing I want to note, I left this recipe up because some people genuinely enjoy it, BUT this recipe is VERY high in salt. 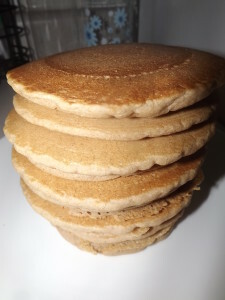 Please try out one of my other pancake recipes if you cannot eat a lot of salt. Personally I don’t use this recipe anymore because the pancakes would come out kinda salty. So I already have a couple pancake recipes on this website but I doubt one more would hurt! This is a slightly edited version of the recipe found in The Happy Herbivore Cookbook: Over 175 Delicious Fat-Free and Low-Fat Vegan Recipes. While the original recipe is really good I found with a few minor adjustments you can change it up and make it even better. Make sure to try it out with my Blueberry Maple Syrup recipe, it was one of the best breakfasts I'd had in along time! Get your pan preheating over medium heat. You will want a good nonstick pan for this since there is no extra oils added, if you don't have that then get your best nonstick and a SMALL amount of oil spray. In a mixing bowl, add your flours (minus rice flour), baking powder, pinch of salt, and cinnamon. Stir well to combine. In a smaller bowl (or mason jar) add your water, vinegar, and maple syrup. Stir to combine. Add the wet ingredients to the dry ingredients and mix well with a whisk. You do not want any clumps of flour mixture remaining. If your batter seems loose add 1 tablespoon of rice flour, or wheat flour, and set aside for 5-10 minutes. You don't have to let the batter set but as I was making these I noticed the 3 and 4th pancake turned out better than the beginning. Add ¼ cup of batter to your pan at a time and cook for about 2 minutes. You know it's time to flip when the pancakes are all bubbly onto and the edges are cooked. Cook for 1-2 minutes on the second side and serve warm. These will last in the fridge for about 3-5 days if tightly wrapped but I doubt they will last that long! VARIATIONS (as seen in photo) : the variation I made was I used ¾ cup whole wheat all-purpose flour, ¼ cup kaput flour, and 1 cup whole wheat flour. This is not required as Kamut is a variation of wheat but it has great flavor and nutrition. If you can find it make sure to store it in the freezer with your whole wheat flour for best nutrition retention. Any other gluten containing flour could be used instead of kamut, Rye for instances would be a great addition.